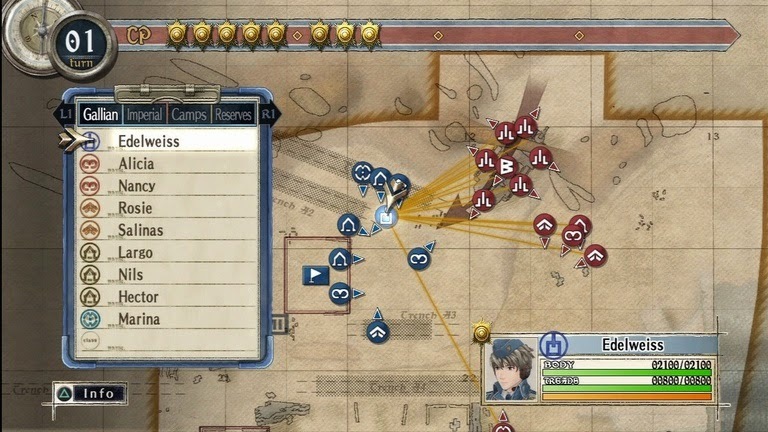 I tried Valkryia Chronicles in my massive Steam backlog playthrough earlier this year. It was one of the few games I liked that I played in my backlog, so I made a mental note to come back to it. Now that I have gotten back around to it I'm having a lot of fun. It's scratching the Strategy RPG itch that I've had lately. 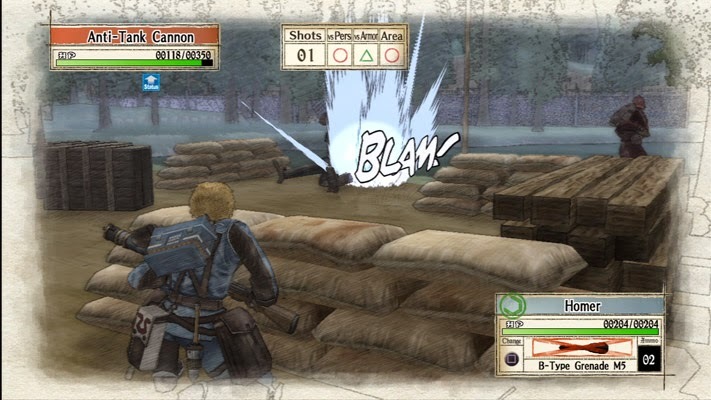 Valkyria Chronicles has been satisfying in a way that the Final Fantasy Tactics games just haven't quite been. If you didn't know, Valkyria Chronicles is a ported game from PS3 to PC. It just released on Steam in the past year. I picked it up during one of the big Steam sales. Although I played it on PC I used a controller the whole time, and I would highly recommend it. The game plays great with a controller. Valkyria Chronicles does some Standard tactical combat stuff but it also does some really cool tactical stuff too. When you move a character you jump behind them into a third person shooter view and start free roaming. When you stop to fire at an enemy you actually aim your weapon. One of my favorite parts of the game is the Command Point (CP) system. Instead of every unit taking one turn during your round, you are given a certain amount of CP and you can use it as you see fit. It's typically enough to activate each unit once, if that's what you want to do. But, more interesting, is being able to activate the same unit multiple times by spending more CP on them. It adds an amazing layer that's a ton of fun to play with. Based on how many chapters are in the game I'm about a fourth of the way through it. Unless I hit a roadblock of difficulty I think I'm going to keep working on this game slowly until I finish it. It's really hitting the spot. I need to pick this one up, and it doesn't matter if it's for PS3 or PC. My brother-in-law recommended it to me years ago but I was stuck on a "I don't buy games that don't have trophies" phase and refused. Now that I don't care about that, it seems to be a gem I should check out. It's fairly affordable on both platforms now. You should definitely check it out. I'm having a really good time with it.